The Communist Party of the Philippines (CPP) joins the Filipino people in marking the eve of the stepping down of the US-Arroyo regime, which ruled the Philippines for nine and a half years with sheer brutality, corruption and subservience to foreign interests. At the same time, the CPP reiterates the need to persist along the path of revolutionary struggle and achieve great strides in advancing people’s war through the next several years of the new US-Aquino regime. The Filipino people are absolutely glad to see Gloria Arroyo step down from her throne. They earnestly look forward to waging struggles to ensure that Arroyo will be prosecuted and punished for her crimes of wanton plunder and large-scale corruption and crimes against humanity in the course of the brutal war she waged against urban and rural activists and the masses in revolutionary areas. They will be pressing the incoming Aquino regime to make good its campaign promise to make Arroyo pay for all her crimes against the people. They will vigilantly oppose any horse-trading between Arroyo and Aquino that will give the former a compromise arrangement similar to those granted Marcos and Estrada in the past. The Filipino people thirst for change. They long for a decisive turn from the nine and a half years of Arroyo’s rule of brutality, corruption and subservience to foreign interests. They are, however, not betting that Aquino’s presidency will make a real break with the past, especially with regard to fundamental issues such as land reform and genuine national industrialization, national sovereignty, people’s democracy, human rights and social justice. Aquino has hardly given any attention to the issue of land reform, except to make a vague and hollow promise with many if’s and but’s about distributing Hacienda Luisita to its tillers by 2013. Whether in the reign of Cory Aquino or in the reign now of her son, the Aquino-Cojuangco clan has no intention at all of subjecting Hacienda Luisita to genuine land reform. Neither is the new puppet, reactionary president ready to accord real justice to the victims of the Hacienda Luisita massacre and the series of related killings of leaders and advocates of the peasant struggle in Tarlac, of which he himself was culpably in league with the fascist military masterminds and perpetrators. The aspiration of the peasant masses for land reform can only be advanced by waging mass struggles against land monopoly and concomitant feudal and semifeudal exploitation. Aquino’s six-year term will be confronted by a historic escalation of the peasants’ clamor for genuine land reform. Aquino has assembled his “economic team” from the same bunch and breed of pro-imperialist and pro-neoliberalization economists who have dominated economic policy-making in the past three decades, including some who have served the US-Arroyo regime. These are the eonomic policy-makers who pushed for the denationalization, privatization, deregulation and liberalization of the economy, causing the large-scale demise and closure of industries, massive loss and casualization of jobs, breakdown of protectionist barriers and self-reliance, dumping of foreign goods, destruction of agriculture and the plunder of the country’s natural resources. They have reduced the national economy to ruins with diminished domestic production and made it practically dependent on foreign debts and remittances of overseas contract workers. From all indications, Aquino is out to continue the same, old pro-imperialist, anti-progress and anti-people economic policies even as he conjures the illusion that the people’s lives will improve under his regime with its superficial slogan of “no corruption, no poverty.” He is intent on taking on his class role as the next chief overseer of the moribund semicolonial and semifeudal system. The worsening economic conditions and social ills besetting the Filipino people are driving them to intensify their resistance and struggle for fundamental social change. The revolutionary movement continues to advance as the Filipino people gain a heightened awareness of the need to wage revolutionary struggle to advance both their immediate demands and strategic aspirations. The objective socio-economic and political situation combine with the critical and growing strength of the CPP-led subjective forces of the revolution. The people’s revolutionary movement can achieve great unprecedented advances in the next six years under the US-Aquino regime. The current five-year program of the Communist Party of the Philippines seeks to lead the people’s war to a qualitative leap into the phase of strategic stalemate from its current phase of strategic defensive through the escalation of full-scale guerrilla warfare. 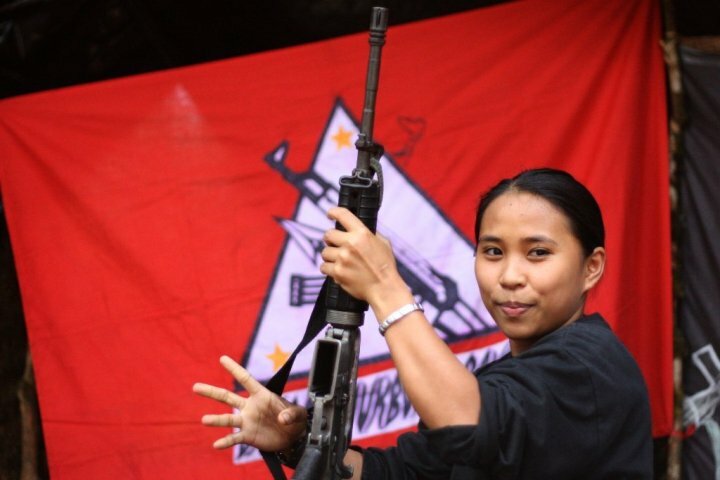 The CPP and the entire revolutionary movement vow to wage revolutionary armed resistance and lead mass struggles nationwide with utmost vigor and determination. 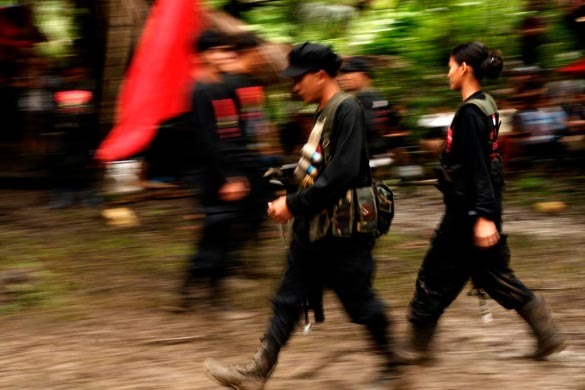 In the coming years, the New People’s Army expects to recruit thousands of new Red fighters, build more platoons and companies, establish new battalions, open up and consolidate more guerrilla fronts and subregional military areas, launch more frequent and widespread tactical offensives and seize thousands of firearms from the AFP. The entire archipelago will be ablaze with the fires of the people’s war. At the same time, mass struggles against poverty and oppression; and for land reform, higher wages, jobs, lower prices, education, health and other social needs will be waged by the broad masses of the people in both the cities and countryside. Even as the people wage struggles in all fields of battle, their revolutionary forces under the National Democratic Front of the Philippines remain open to engaging the Government of the Republic of the Philippines in peace negotiations. The NDFP is now only awaiting the reactionary government under the Aquino regime to show real interest in resuming the peace talks with a commitment to uphold all previous agreements between the two parties since the basic framework- and agenda-setting The Hague Joint Declaration of 1992. Aquino, however, has so far indicated very little interest in peace negotiations. He is under US imperialist pressure to simply continue with intensifying the counterrevolutionary military campaign of suppression in compliance with the US Counterinsurgency Guide. He is being made to simply revive the previous failed campaigns of Oplan Bantay Laya 1 and 2, rename and embroider it with new rhetoric. As the raging civil war intensifies, Aquino will definitely be confronted with the growing demand of various sectors for it to engage in serious peace negotiations with the NDFP in order to address the roots of the armed conflict and achieve a just and lasting peace in the country. Whatever method Aquino chooses, he will merely end up failing to stifle the people’s growing resistance. The more force he applies in a brutal campaign of suppression, the more energy will the people exert to intensify their clamor and struggle for fundamental and revolutionary changes. With the CPP and the revolutionary forces at the core, the people’s struggles are bound to achieve greater victories in the coming years under the new US-Aquino regime. This entry was posted in Marxism-Leninism, Philippines and tagged Armed Struggle, Communist Party of the Philippines, Gloria M. Arroyo, National Democratic Front of the Philippines, national democratic revolution, New Democracy, New People's Army, Noynoy Aquino, Protracted People's War. Bookmark the permalink.